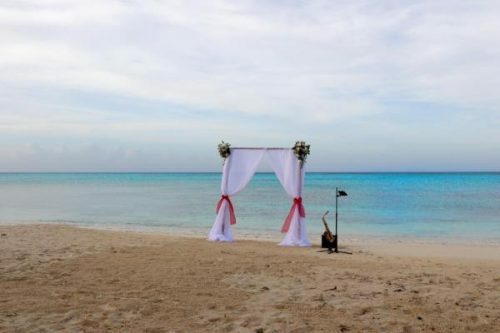 Bahamas destination wedding, the Premier wedding planning company in The Bahamas announces new venue for affordable Nassau beach weddings including Paradise Island. Bahamas Destination Wedding, The Bahamas premier wedding consultants and planners have expended its beach wedding offerings announcing its newest venue for Nassau beach weddings – Nuptial Beach located on picturesque Cable Beach, the Bahamian Riviera. Nuptial Beach is a white powdery sand beach with crystal clear turquoise waters located at the western end of Cable Beach on the island of New Providence, the home of the world famous capital city of the Bahamas – Nassau.